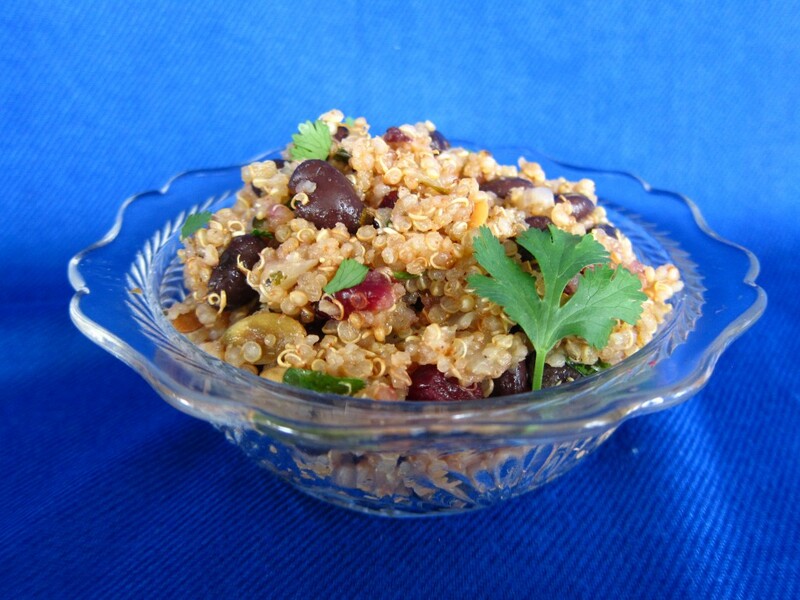 When cooking with quinoa, you typically want to rinse the quinoa to get rid of the soapy taste that coats the grains and then just cook it like you would rice. That is how I had always cooked it since I first discovered quinoa. A few months ago, I tried toasting the grains in a dry skillet. The result was delicious. This simple step really adds a lot of flavor and complexity. Just remember, it’s better to under-toast than to burn. It only takes a light toasted color to impart a lot of flavor. Put quinoa in a dry skillet over medium heat. Shake pan occasionally. After 5-7 minutes you will begin to hear grains popping. Once the popping starts, the grains can go from toasted to burnt fast, so pay attention. Cook for 1-2 minutes until grains give off a toasty aroma and are slightly toasted. Remove from heat (I usually dump them on a large paper towel as it makes it easier to transfer into the pot). In large saucepan, heat 1 tablespoon of olive oil over medium heat. Add diced onion and 1/2 teaspoon kosher salt, stirring to combine. Cook until onions begin to brown around the edges. Add water and bring to boil. Add toasted quinoa, cover, and reduce to simmer. Cook until water is absorbed, about 15 minutes. While quinoa is cooking, whisk dressing ingredients together. Taste for seasoning. 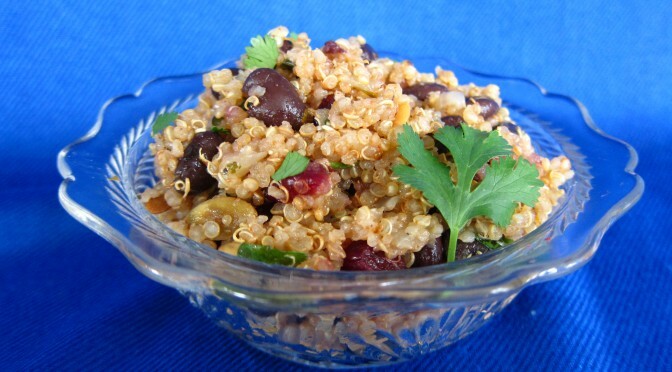 Once quinoa is done cooking, stir in dressing and mix-ins. Eat immediately, at room temperature, or even chilled. This is a dish that is good to have in the arsenal of recipes. It can be changed according to what you have on hand. Don’t have cilantro? Use parsley. Don’t have pumpkin seeds? Use pecans. Don’t have the dressing ingredients? Make your favorite vinaigrette (or use your favorite store-bought one, don’t worry, I won’t tell). Super versatile recipe.